A meticulous heartfelt romance that showcased Danielle Pearl’s ability to create a story that packed an emotional punch that was poignant, beautiful, and endearing. In Pieces completely took me by surprised in a good way. The New Adult genre is either a hit or miss with me especially since I find college themed romance pretty much standard. But in this book, Pearl treated her readers to a story that was more than romance. It was a story of healing, starting anew, and friendship. College is every person’s defining moment. It is where you discover the type of person you are. It molds and shapes who you are as an individual. College can also be a fresh start and for Beth Caplan, it was her escape. Her moment to start over and leave her past mistakes behind her. But what Beth didn’t expect was her older brother’s best friend, David March to be constantly hovering over her. David has always been attracted to Beth and wants to protect and keep her safe. While others may see David’s action as a bit too overprotective, I found it to be sweet and thoughtful. As much as David wants Beth, he still doesn’t want to cross the line. As Beth and David navigate the blurred lines of their friendship, feelings begins to emerge. Will David finally be able to be honest with his feelings for Beth? 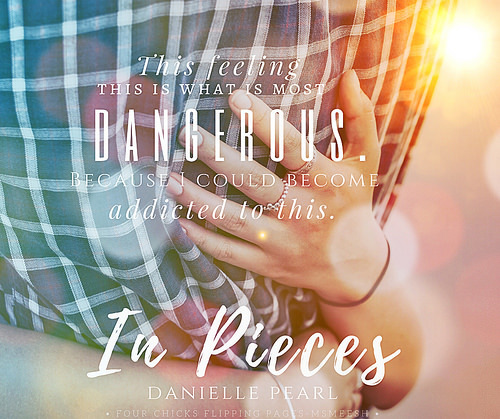 In Pieces was indeed a very slow burn romance that worked for the storyline of David and Beth. 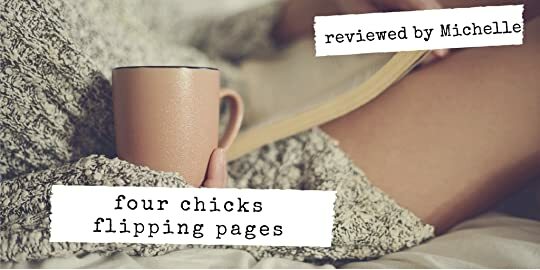 I loved that Danielle Pearl didn’t rush anything and allowed readers to understand and feel for her characters as they go on this journey of self discovery. So if you are looking for a story that had all the romantic elements and still carry a strong meaningful storyline then this book is definitely for you.